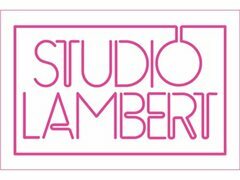 Studio Lambert, the makers of BAFTA winning Gogglebox, Tattoo Fixers and Undercover Boss are on the hunt for a fun and vibrant individual to be part of an exciting TV Series. This would be suitable for someone who has a great sense of humour, bags of energy, is naturally very chatty and not afraid to give their opinion! If you are interested please ASAP with: A recent picture of yourself, contact number, bit about yourself and your interests and links to any videos you have made or been part of.